Providing Outstanding Landscape Design, Landscape Construction and Landscape Maintenance For Over 20 years. Company Director, Craig McDonald named his business Asset Landscapes from the term ‘Grow your Asset’ reflecting the view that for most people their biggest asset is their own home therefore living and growing your asset. The team at Asset Landscapes is highly qualified and skilled in all aspects of Landscape Construction. Consequently the majority of work is undertaken by our Team reducing the need for unreliable sub-contractors. Asset Landscapes has been an active and proud member of the Landscape Association of NSW & ACT (LNA) and are fully Licensed and insured. We take great pride in our workmanship and strive towards quality. As a result our great workmanship has been nominated for and won several awards. 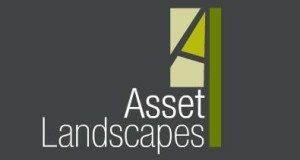 Asset Landscapes vision is to develop a mutually rewarding partnership with our clients, offering solutions which are aesthetically pleasing, cost effective and structurally sound. Asset Landscape offers a wide range of services for Residential, Commercial, Local Government and Child Care Centres. We offer Consultation, Design services, project management and maintenance where required. Asset Landscaping is one of the leading landscapers in Sydney, providing quality garden landscaping services, including landscape design, landscape construction and landscape maintenance services for residential Sydney gardens. With a team of qualified landscape designers Sydney based landscape architects providing all garden designer services and landscape design services including garden designs, pool designs, council landscape plans for DA landscape plans submissions. The Asset Landscaping team of landscapers Sydney are skilled in all areas of landscape construction, including retaining walls, paving, decking, pergolas, water features and more. Since starting in 1994, Asset Landscapes has won numerous awards for their work. Asset Landscaping is one of Sydney’s most trusted and industry-leading landscaping construction companies. We provide quality and professional garden landscaping services, including landscape design, landscape construction, and landscape maintenance services for residential, commercial and government organisations across Sydney and New South Wales.